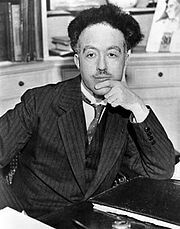 Louis de Broglie received his first degree in History. Afterwards he turned his attention toward mathematics and physics and received a degree in physics. His 1924 Recherches sur la théorie des quanta (Research on the Theory of the Quanta), introduced his theory of electron waves. This included the wave-particle duality theory of matter, based on the work of Max Planck and Albert Einstein on light. The thesis examiners, unsure of the material, passed his thesis to Einstein for evaluation who endorsed his wave-particle duality proposal wholeheartedly; de Broglie was awarded his doctorate! What is the underlying truth of this story? Simple: people trust the experts! They trust them so much so as to grant a doctorate to someone even without understanding it! They trust them so much so as to believe in a theory even though they do not understand it! Einstein himself was puzzled by how people believed he was a genious due to the Theory of Relativity, even though almost noone understood it!!! Science: NOT explaining. Being: NO reason.